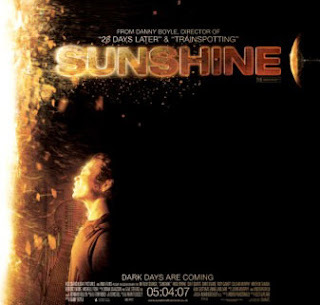 Safe to say that John Murphy's majestic 'Sunshine (Adagio In D Minor)' piece from the score of Danny Boyle's 'Sunshine' is one of the most ubiquitous pieces of film music from the 21st century. Indeed, to many, it's perhaps overly prominent thanks to frequent use in adverts and trailers. But I remain a fervent supporter, and this new orchestral mix shows that there's still plenty of mileage for the track. Now, the orchestral mix of 'Adagio In D Minor' doesn't quite have the quivering atmosphere of the original version, which played superbly over the uncertain proceedings of the crew of the Icarus 1 spaceship in 'Sunshine'. Instead, the new version opts for a more bombastic approach, swelling almost beyond Murphy's control as the track pounds its way to seeming oblivion. So. Big. 'Adagio In D Minor (Orchestral Mix)' is available to purchase now via iTunes, Amazon etc. Find more info at johnmurphyofficial.com.